How have you survived September so far, moms? For many, kids have just gone back to school, new activities are beginning and the weather change is upon us. For many moms, this is a wonderful and stressful time of the year. So many giveaways right now are focused on kids. Back to school with backpacks, lunchboxes and even some afterschool fun. What about the moms out there? If you are a traditional school mom – your life has just shifted from one mindset to the next and now you are packing lunches, carpooling, checking homework and more! If you are homeschooling mom, you may have started a new year for your schooling or perhaps you are a year round homeschooler and your status quo of crazy-busy is still ongoing! 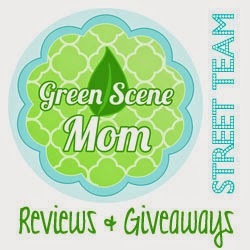 So why not honor the moms out there with a Moms Are Marvelous giveaway? This giveaway is open to US residents, ages 18 and older and will run from September 9, 2013 through September 23, 2013 at 11 PM CST. A beautiful chemise nightgown from Dry Babe (value $55) – be sure to check out the review and see how you can keep your cool at night while you are doing a mental run down of birthday treats, soccer schedules and algebra equations. This giveaway is open to US Residents only, ages 18 and older. Savory Savings and Trying To Go Green are not responsible for prize fulfillment. This giveaway is in no way associated with social media such as Facebook, Twitter or Pinterest.